Five little children were left home alone by their mother after she went to the market to buy some milk. A 27-year-old Jersey City woman left her 3-month-old baby and four other children, ranging in age from age 3 to 8 years, home alone for at least two hours on last week, according to police. 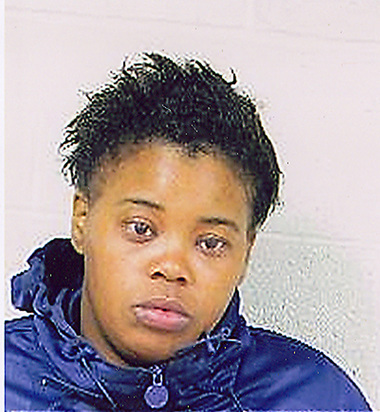 Shanna Robinson is accused of endangering the welfare of her children after she returned to her home on Carteret Avenue at midnight Tuesday and found that the police had taken her children to the Jersey City Medical Center for examination, according to police. Police responded to the home at 10:23 Tuesday night after a "911 hang up call", where two of the Robinson children, a girl of 5 years old and a 7 year old, opened the door and told the police and their mother was not home, reports said. They told police they were being watched by their sister who is 9 years old, although a police report indicates the girl is 8 years old. Police found a 3 month old sleeping on a sofa and a girl sleeping in the bedroom, the police report said, noting that all the children seemed to be in good health. Police said Robinson was found at the hospital at 12:30 am and told police that she went to the store to buy milk at 10 pm and I lost track of time. The Division of Children and Families were notified and the children were placed in foster care for the night, the police report said.